Well, I suppose the title of this article is a touch misleading: indie author Jonathan Kile didn’t actually trade away his love of or involvement in self-publishing for the titular road trip–but he did write about both in this excellent article for Tampa Bay’s Creative Loafing column, as excellent a place as any to find reflections on music, art, and lifestyle. In his column, Kile deliberates upon what exactly it looks and feels like to “take a moment” while self-publishing. The temptation, one assumes and Kile confirms, would be to constantly take work with you; after all, portability is one of the self-publishing author’s greatest freedoms. One of technology’s–and therefore self-publishing’s–greatest strengths may, in the end, make it hard to clear your head. And while it is, theoretically, possible to make edits to your manuscript and even your published book while tent camping in the Sierras, Kile’s column is the reminder we all need that sometimes it’s okay to take a step back, take a deep breath, and leave work at home. Did you know that there’s an annual self-publishing summit in Durban, South Africa? One of the most amazing aspects of taking part in this blog is learning about the global self-publishing movement, and how the tools we know and love here in North America are empowering and enabling indie authors all around the world to craft their platforms and find their audiences. The Durban Self-publishing Summit 2018 was by all accounts (including this one from Berea Mail) a great success, and if you’re in the area or will be around this time next year, it might just be worth penciling into your calendar for 2019. Here’s to many more successful self-publishing summits in far-flung places we hope to visit! If you’ve spent much time around book blogs, you’ll know that we are often a bit … snobby. And don’t get me wrong, snobbery and gatekeeping is one of life’s finest pleasures … so long as you’re using it as an avenue to celebrate books and open up doors for authors, not the reverse. And it has long been an assumption, these days entirely unfounded, that self-published books suffer from poor cover design. But as this fabulous article from The Bookseller makes plain, it’s time for this particular brand of snobbery to disappear into the void. Writes Stuart Bache, the initial wave of self-published books may have struggled more with design simply because of tight budgets and limited options. These days, he goes on to say, are different. Writes Bache: “We had only dipped our toe into the self-publishing world for mere seconds before we were swept up in its authors’ enthusiasm and positive attitude towards publishing. Even on a tight budget. some of our indie clients were doing phenomenally well. There are entire communities on Facebook where an author can ask for advice about marketing and ask for recommendations for editors and designers they can use – the support network is one of the best.” Self-publishing companies like Outskirts Press offer design services, as do many independent contractors and graphic designers. These days, it’s much easier to craft a beautiful book, and Bache’s article for The Bookseller goes a long way toward pointing out options if you yourself are looking for a good place to start. Do you know that old saying, “The King is dead. Long live the King”? Well, while traditional publishing is a long way from dead, the new kid on the block is definitely on the ascendant. This article from Frank Catalano of GeekWire is packed with good news for indie and self-publishing authors, and we all need a bit of good news after the last quarterly reports from Barnes & Noble. Writes Catalano, “Over a thousand independent authors surpassed $100,000 in royalties in 2017 through Kindle Direct Publishing,” and many of the statistics pertinent to indie authors are not included in the general publishing reports, including those for ebooks. If indie authors are discounted, ebook sales continue to drop as they have done ever since publishers won the right to raise ebook prices in 2015. If indie authors are included, writes Catalano, the numbers are much less dire for authors as a whole, although they certainly indicate that the healthiest portion of the ebook industry lies firmly toward the indie and self-published end of things. Long story short: Catalano breaks down the numbers (and uses infographics!) to explain just what is up with ebooks in 2017 and the first half of 2018. Well worth a look! Last week, I examined the dedicated e-reader designed for use with Barnes & Noble’s stores, both digital and brick and mortar––the NOOK. And if you read that post, you’ll recall that I mentioned Barnes & Noble will no longer be producing a dedicated e-reader, and in fact is no longer producing an e-reader at all; it is, however, lending its name and all of the might of its online platform to the latest incarnation (or should I say “one of the latest incarnations?”) of the Samsung Galaxy Tab. The resulting hybrid will give Barnes & Noble customers the necessary continuity to keep using the interfaces to which they have become accustomed, while also lifting the burden of production and distribution (at least, partially) from a company that is still, ultimately, struggling to keep its foot in the door of print book distribution. 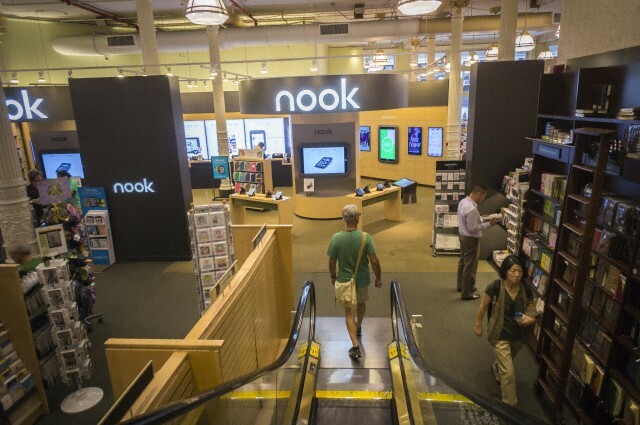 Amazon’s Kindle store and Apple’s iPad have collectively changed the course of ebook distribution and consumption, whether we like it or not––and like so many others, Barnes & Noble and Samsung are hoping to create the next best thing, or a near-approximation of the iPad that still gives the bookseller an edge of control over the end user. But we’re not here to talk about the new tablet (although you can read a most thorough CNET review here). We’re here to talk about the original Samsung Galaxy Tab series, which is now up to at least its tenth iteration … if not a higher number (they throw in variant names, with the “Galaxy Tab S” and “Galaxy Tab Pro” and so on complicating a neat and orderly numbering system). 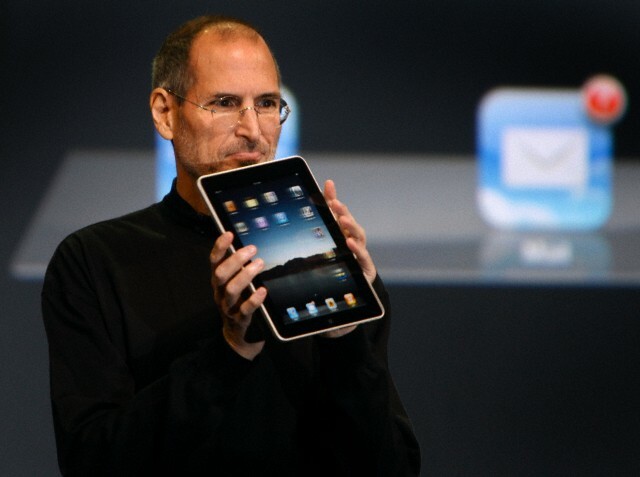 The entire line is noted, however, first and foremost for being the first (or among the first, depending on who you ask) to embrace a full Android operating system––and as such, it became a solid, distinct, and direct competitor to both the iPad (which runs on Apple’s iOS) and the Kindle (which varies a bit from iteration to iteration, but for the most part employs a heavily modified and limited version of Android). I think it’s worth mentioning both tablets like the iPad and dedicated e-readers like the Kindle in the same breath when it comes to the Samsung Galaxy, because the relationship between the two is hybridizing so quickly as partnership projects like the Samsung Galaxy NOOK become the new normal. Here’s the thing with the Samsung Galaxy Tab series that gives it an edge over the Kindle and the original NOOK: it’s a fully-fledged tablet, with a far wider range of capabilities as a device than a dedicated e-reader. You can access the Google Play store, and run a whole slew of apps that have little or nothing to do with books, and yet the reading-related apps you can download are beautifully designed and presented, so the e-reading experience is still highlighted and underscored as important to app developers. Many people rate the average Samsung device as somewhat less responsive and intuitive than the iPad, but Apple is famously canny about using software to create closed loops around its hardware (that is, the average iPad has to be “jailbroken” before it is “hackable”––you have to actually tamper with the operating system to render it more adaptable). Basically, Android-based operating systems like the ones the Samsung Galaxy Tablets run are way more easy to customize, tinker with, and generally geek out over. And there are a lot of Samsung Galaxy Tabs out there. There are no hard and fast numbers for me to quote to you, but it’s safe to say they’re not hurting too badly if they have the capital to launch “boutique” or specialized lines like the NOOK hybrid. (Each iteration costs a lot of money and time and talent capital to design and maintain and run support for.) Some recent reports do, however, indicate that sales were not quite as high as they should have been––and as the company supposedly reported them to have been––and this is a matter of great concern. Samsung has the benefit of a large support network and a diverse portfolio to fall back on if one project or device doesn’t sell well; Barnes & Noble had no such safety net, and thus lost its ability to respond effectively to rapidly shifting market demands. 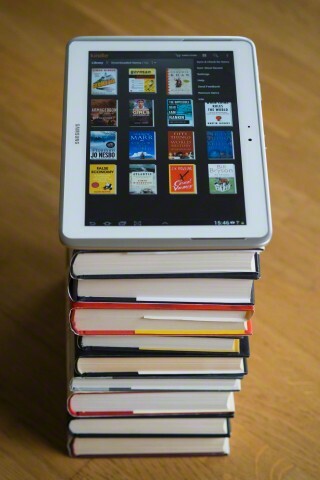 Here’s what you need to know as an author when it comes to the Samsung Galaxy Tab: it’s not going anywhere. Oh, iterations come and go the way my love of rain comes and goes (and boy, does that one fluctuate a lot). But the great thing about a series like this one is that Samsung will continue to make new additions as long as the market exists and as long as there is a demand for Android-based devices that aren’t locked into being dedicated e-readers like the Kindle. Customers want variety and customizability, games and work and literature all in one device, without the need to untangle multiple cables or swap out chargers on the nearest wall outlet. And as long as there are Android-based operating systems, the Google Play store will remain an important distribution point to keep an eye on. Are you selling through Google Play? I personally hope so, and if you are and would like to share your story, please (please please) drop me a line in the comment section with all of the details.